Bird migration is an incredible event that is witnessed around the nation (and world) during particular seasons each year. Many migratory birds can be found in the northern regions of the United States during the warmer summer months while food and nesting grounds are abundant. As the seasons change, these birds migrate South due to the decrease in food and nesting grounds in the North during the winter months. In North America, birds that follow a North/South migratory pattern are categorized into what are called “flyways”. 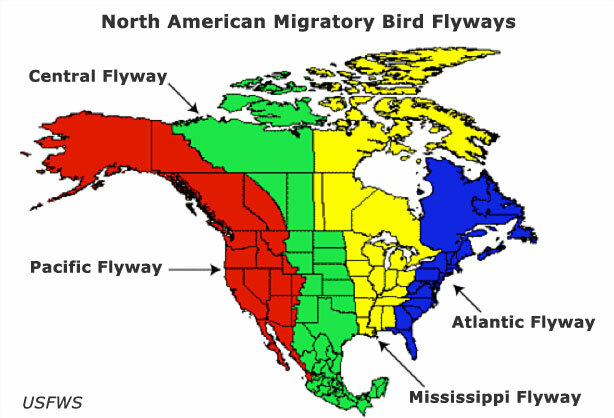 There are four flyways in North America (Figure 1) including: Pacific flyway, Central flyway, Mississippi flyway and the Atlantic flyway. The state of Texas falls into the Central flyway corridor (Figure 1) which includes over 1 million square miles extending from Canada to the Gulf of Mexico and includes the North American states of: North Dakota, South Dakota, Texas, Oklahoma, Kansas, Nebraska, Montana, Wyoming, Colorado and New Mexico. During their long migrations, migratory birds stop at what are called sanctuaries to rest, feed and take shelter in route to their final destination. In Texas alone, there are at least twenty three of these important sanctuaries. 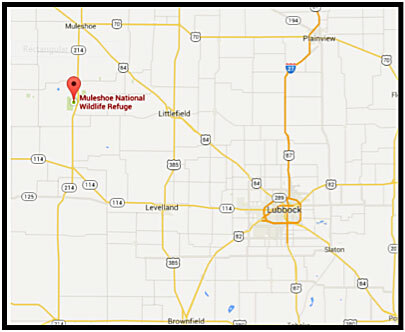 One of the most significant and nearby sanctuaries is the Muleshoe National Wildlife Refuge located northwest of Lubbock, Texas (Figure 2). 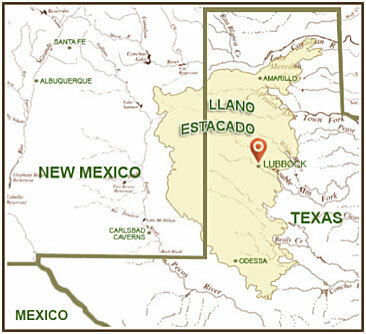 The significance of this sanctuary is that it is located on what is called the Llano Estacado (also known as the “Southern High Plains”, Figure 3) and contains 95% of the world’s playas. These playas are shallow water filled depressions that are only present after a period of rain which attracts multiple species to the area for food, shelter and water. The Muleshoe National Wildlife Refuge is over 6,000 acres within the Llano Estacado and is the oldest wildlife refuge in Texas. This sanctuary is vital to the migrating Lesser Sandhill Crane populations where about 15% of the population depends on this area during their migration in the Central Flyway between the fall and spring months. Numerous other species of waterfowl, birds and raptors also use the Muleshoe National Wildlife Refuge within the Llano Estacado as a refuge during their migration within the Central Flyway region throughout the year. Figure 1 . Pacific, Central, Mississippi and Atlantic Flyways. Source: US Fish & Wildlife Service. Figure 2. Muleshoe National Wildlife Refuge. Source: maps.google.com.